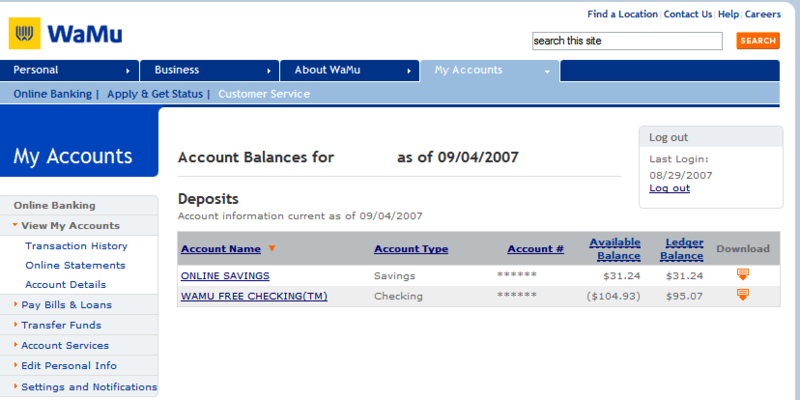 I've spent a lot of time over the past 10 years managing my money online, and I want to let you all know my two favorite free online banks, Etrade and WaMu. 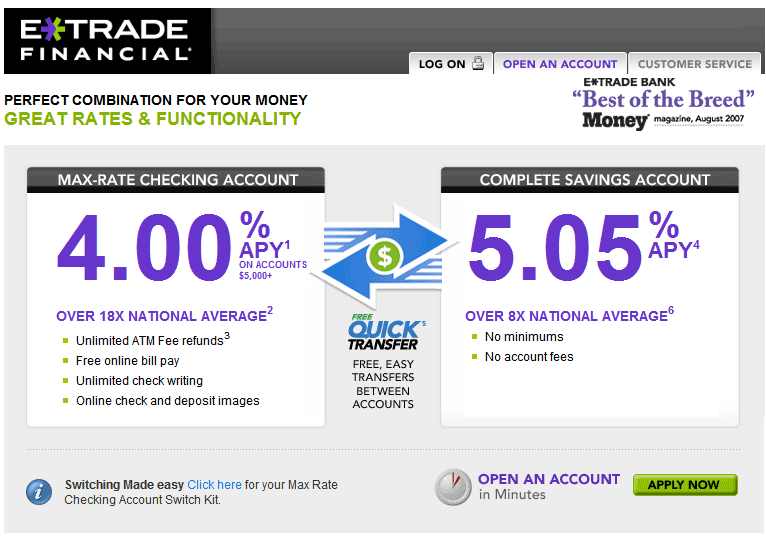 Etrade offers an incredible Savings Account, with no fees and no minimums, and the customer support is stellar. 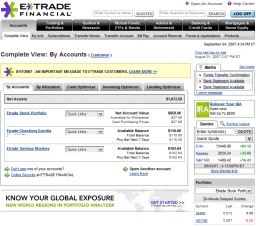 Etrade also offers a free Checking account, and you get a debit card with that, for free. 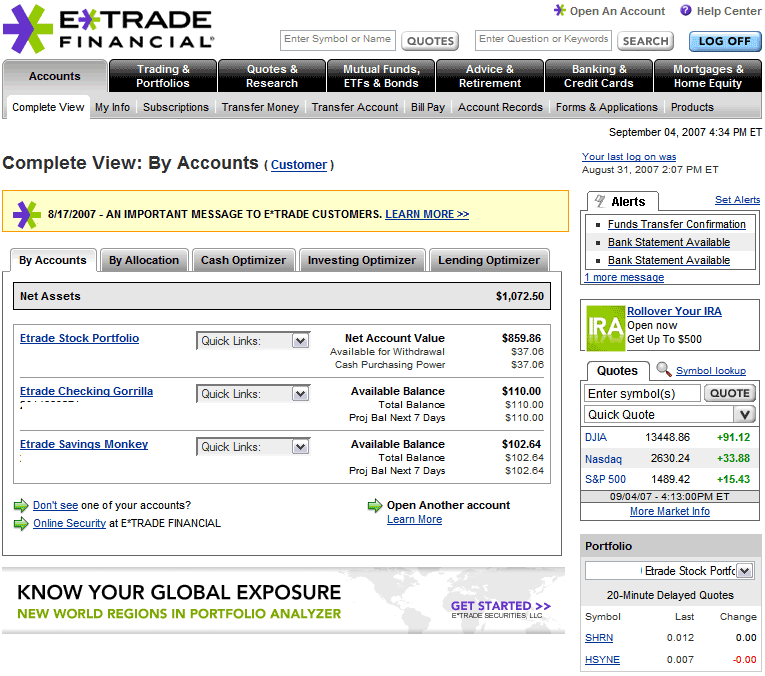 Here is a look at the default view when you log in to Etrade. Some of my favorite places are the retirement areas, where you can learn about how to retire. They also have a TON of great information for a lot of other subjects a Web Professional should know all about, credit score, home mortgages, etc..
WaMu is just fantastic. I'm sure you've seen their ad campaign talking about them being a different kind of bank. Well, they certainly are. 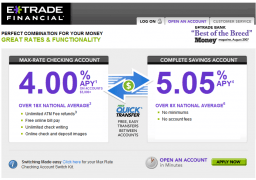 They offer a great free savings account with huge interest rates, no monthly fees or any kind of fees, etc.. 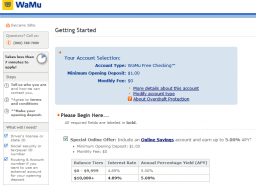 They also offer a free checking account that comes with a debit card. I have both. 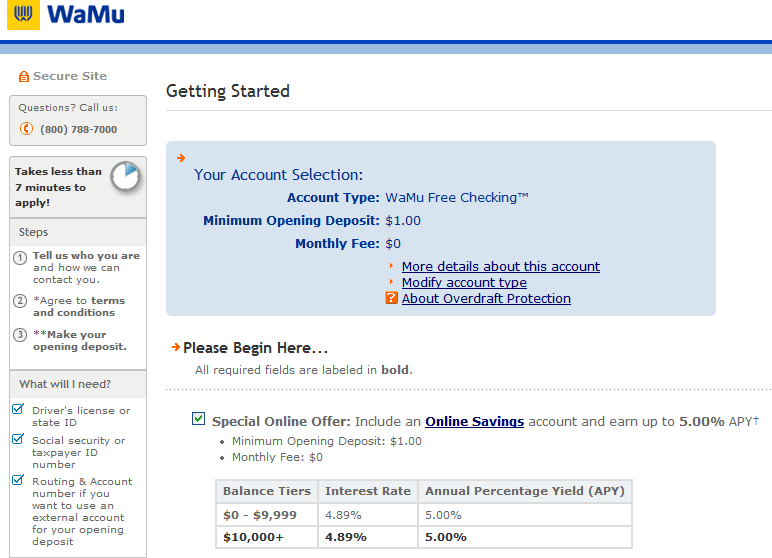 Here is the default view when you login to WaMu, its really the best online banking interface I have ever seen.